Sant Rosa Drivetrain | Auto Japan, Inc.
A drivetrain is all of a vehicle’s components that create power and transmit it to the wheels. This includes the engine, transmission, the differential(s), the hubs, and any interconnecting shafts. 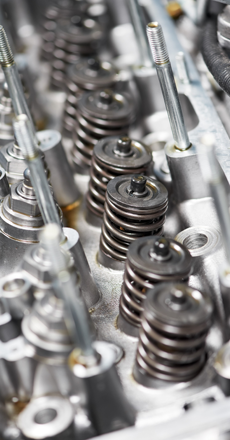 We provide major repair and service for engines and transmissions. Large repairs can be avoided through proper maintenance to ensure that these systems do not become compromised. Whether you need a timing belt service or a head gasket replacement, our technicians are skilled at complete engine repair. In the unfortunate event that a complete engine replacement is warranted, we will discuss your options so that you are able to make an informed decision. We offer new and rebuilt engines and tailor choices to your needs.